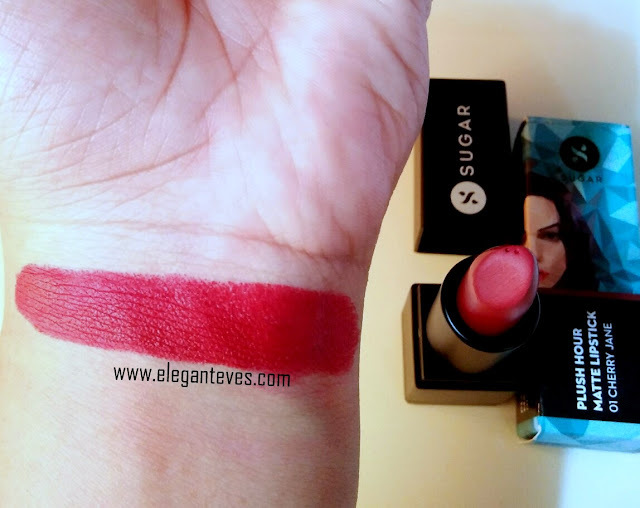 I had received a Plush Hour Matte Lipstick in shade 01-Cherry Jane from Sugar cosmetics in my tiny Sugar Cosmetics haul a few days back. From loving bright orangey reds in my college days, I have now gravitated towards cool-toned classic reds. And especially when they are in a sophisticated matte finish, what’s not to love? 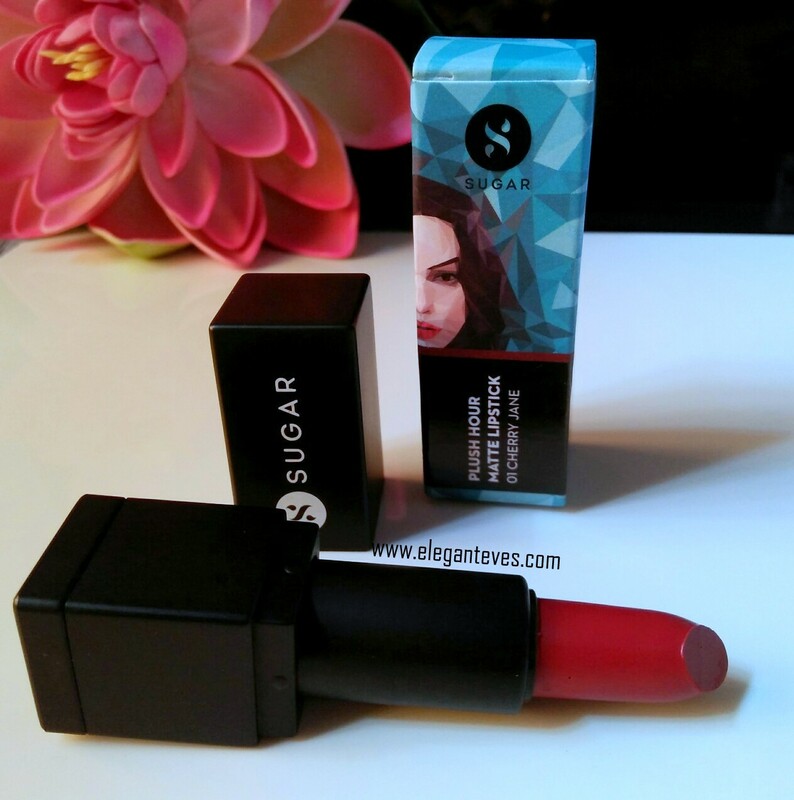 Read on to see whether the shade and the formula impressed me as much as the other Sugar products did. 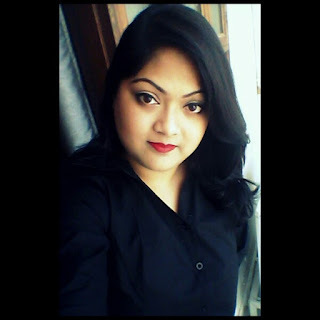 "Dream of the day when your lipstick feels good, looks good and stays on your lips and not on your coffee cup? Lipstick lovers rejoice, because the SUGAR Plush Hour Matte Lipstick is here to deliver killer matte looks with non-negotiable comfort. No more shying away from matte lipsticks for fear of dry, cracked lips – but hey, don’t take our word for it! Place your bets on a set of 6 alluring shades and you’ll know you’re winning with the first swipe. 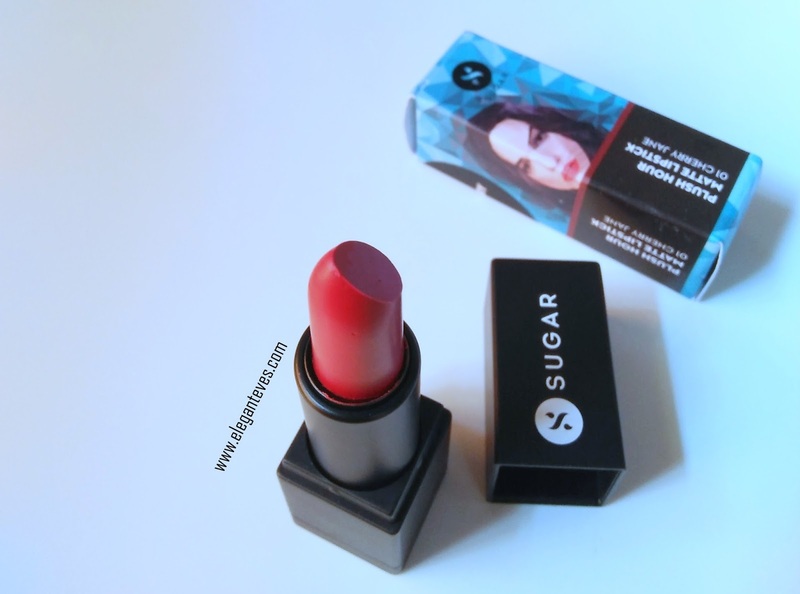 SUGAR Plush Hour Matte Lipstick not only boasts of intense pigmentation, but also has a velvety texture that lasts long enough to make both your lips and your eyes pop in wonder! Flaunt it all day without feeling the need to reapply. The hardest part about wearing this dream matte lipstick? Choosing which shade to wear! Swipe on Cherry Jane and you’re ready for the big screen in a flash! An iconic cool tonedred that’s definitely not for wallflowers, this one grabs both attention and envy in copious quantities. 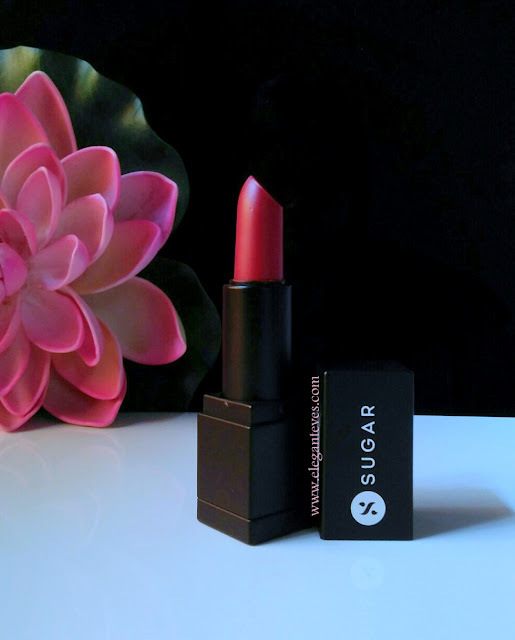 Benefits: The SUGAR Plush Hour Matte Lipstick has a soft, premium finish that goes on beautifully to give an intense, opaque look. This paraben-free formula stays on all day long with zero feathering or fade - no matter how many coffees or cocktails you down. Additional Details: The SUGAR Plush Hour Matte Lipstick is available in 6 irresistible shades to choose from, viz. Cherry Jane, Teaker Bell, Minnie Mauve, Powerbuff Girls, Berry Boop and Little Bo Peach. " Holding the lipstick straight, start from one corner of the lower lip and smoothly glide towards the other corner. For the upper lip, outline your Cupid’s bow and fill in the colour from one corner of your lip to the other. Pro-tip: Skip the liner, blotting paper and lip balm - these lipsticks are better off on their own. Isododecane, Octyldodecanol, CI 45410,Polyethylene, Hydrogenated Polydecene, CI 15850, Microcrystalline Wax, CI 77019,Caprylic/Capric Triglyceride, CI 77742, Hydrogenated Polycyclopentadiene, Trimethylsiloxysilate, Isononyl Isononanoate, Polysilicone-11, CI 77891, Mineral Oil, Disteardimonium Hectorite, Lecithin, CI 77499, Propylene Carbonate, Diethylhexyl Syringylidene Malonate, Ascorbyl Palmitate, Butylated hydroxytoluene, Tocopherol, Laureth-12, Styrene Butadiene Copolymer, Citric Acid, CI 77492. 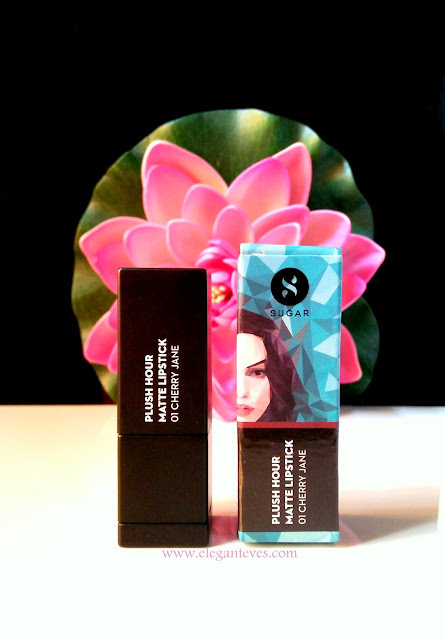 The Plush Hour Lipsticks come in a chic-looking matte black square tube. The outer carton, as all other Sugar products, is quirky and fun! The lipstick tube cap clicks shut well, is lightweight and thus travel-friendly. The shade 01 Cherry Jane is described as cool-toned red by the brand. On me, it definitely looks so but it also tends to look different under various lighting. In natural daylight (under shade), it looks like a cool-toned red with pink undertones. Under sunlight, or when swatched on inner wrists, it tends to look like a brighter red. So, it is a safe guess that this lip shade will tend to look pinker or redder on different people depending on skin undertones and the surrounding lighting. 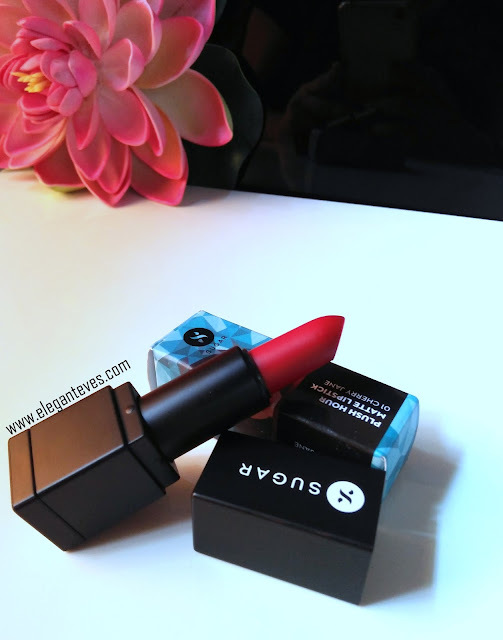 But since there are no neon-tones in this stunning red, Cherry Jane will suit across all complexions. This is definitely one of the most comfortable matte formulas I have owned till now. 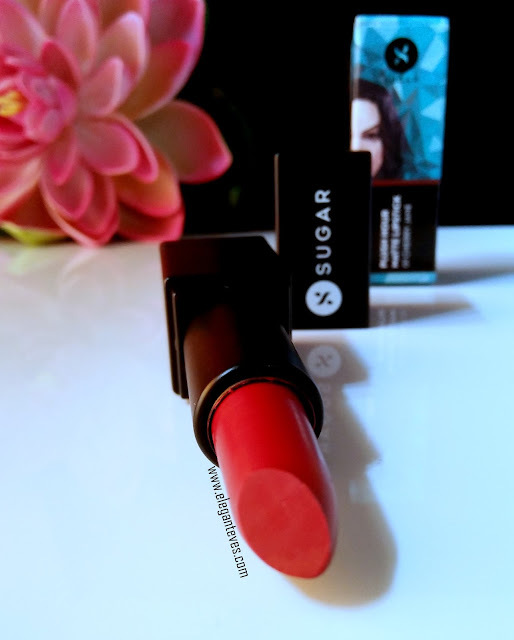 The lipstick is smooth and glides on beautifully on the lips with a “moisturized matte” finish (If you know what I mean). There is no tugging, pulling or settling in lines. 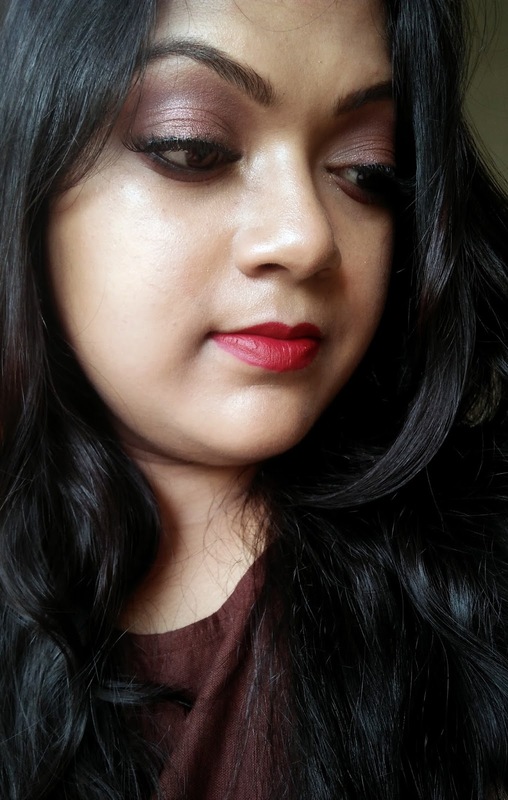 I am amazed that the claim by the brand “Skip the liner, blotting paper and lip balm - these lipsticks are better off on their own.”is actually true. I do not need to use a lip liner or lip balm underneath and yet the lipstick doesn’t bleed outline the lip-line nor does my lips feel parched and dry. 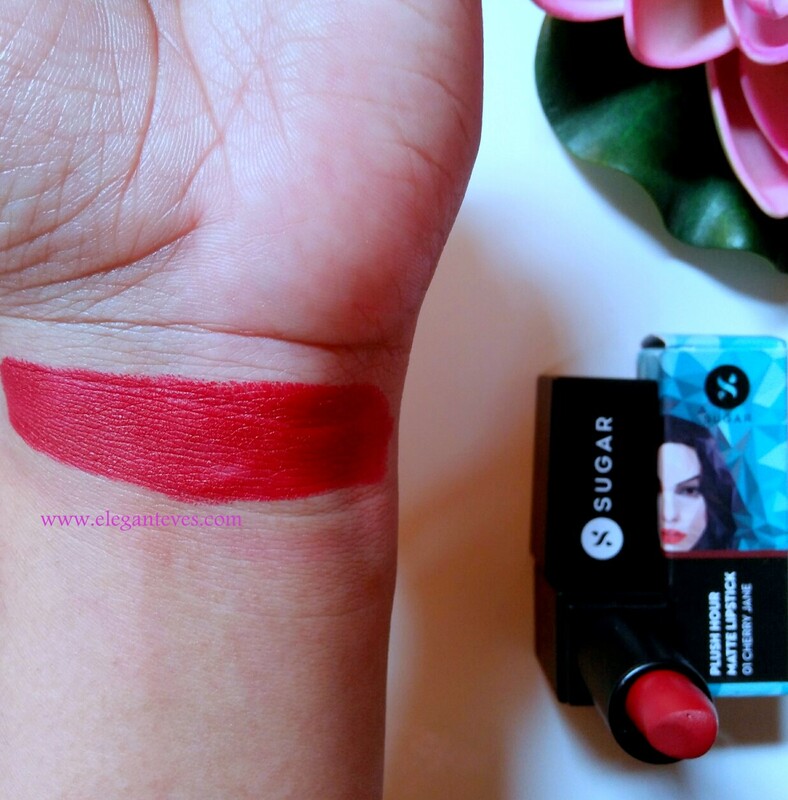 There is intense opaque colour-pay off with single swipe off the lipstick and covers my pigmented upper lip just beautifully. I wore this shade to an evening function and it lasted for over 6 hours on me post which I removed it before hitting the bed. So, I believe this will last till 7-8 hours atleast before it fades. Also, while removing it, I noticed that the stain it left behind is quite strong and an oil-based cleanser will be required to remove it totally (I used coconut oil on a wet cotton swab). I am so glad that an Indian brand is finally bringing good quality products at an affordable price tag. We have waited long enough, haven’t we? Eagerly waiting for more new launches by SUGAR Cosmetics.